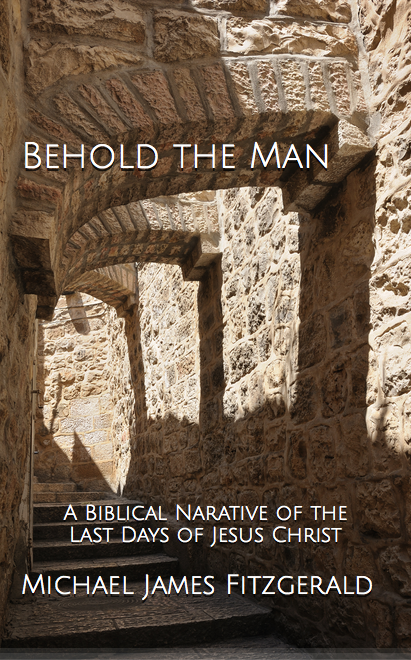 I want to let you know that in honor of this Easter season—Easter is March 27—I am offering my book Behold the Man: A Biblical Narrative of the Last Days of Jesus Christ free for anyone on Kindle from March 1 through March 5, 2016. You don’t need Prime or Kindle Unlimited. It’s free to anyone. I started writing during Easter of 1986 as I began putting together events surrounding the last week of Jesus’s mortal life. The Passion of Christ is the greatest tragedy and triumph in history. I have never found anything to compare with it in meaning. That spring, I started to put together the puzzle of the accounts of the Passion as told in the gospel accounts of the New Testament. My goal was to: (1) identify the unique details from each of the gospel accounts relating to the Passion; (2) to unify all this material; and (3) to present it in an easy-to-read, narrative format. The source for this book is the King James Version of the New Testament. While my book is scripture based, I’ve updated some punctuation and paragraphing, altered and modernized some capitalization and pronouns, and added single and double quotation marks in places. To help the flow of the narrative, I have also added conjunctive or transitional words, without setting them off with brackets, and occasionally deleted some words. This book took me a 23-year period to complete. I hope it will help you draw closer to our Savior during this my favorite season of the year. P.S. If you missed this deal, contact me here and I’ll fix you up. Thank you!!! This is a wonderful gift.